The Arts Council of New Westminster is pleased to present “Clay 2014”, a juried exhibition of new work by the Fraser Valley Potters’ Guild Association. Herman Venema of Abbotsford will adjudicate the work and make the selections for the Show. 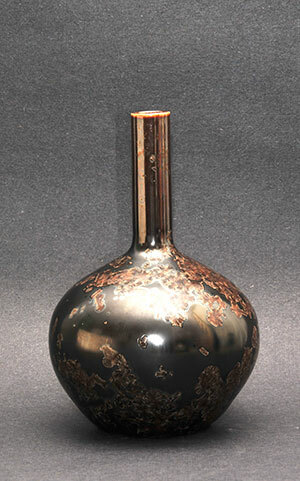 You are sure to see a wide variety of firing and finishing styles. These likely will include: burnished, pit-fired earthenware; raku; electric fired crystalline porcelains and wood and gas fired stoneware with soda and salt finishing from Shadbolt Art Centre’s Ombu kiln. The Fraser Valley Potters’ Guild was formed in 1975 by a group of alumni form the ceramics department of Douglas College, Surrey campus. Douglas College moved to the new location on 128th and 72nd Ave. in the late 80’s becoming Kwantlen College, and then Kwantlen University, and now it is called Kwantlen Polytechnic University. The guild continued to grow and encompass members from all over the Fraser Valley. Some are professional ceramicists and instructors whose work includes public art commissions, solo shows and community projects. Some have gained national and international recognition, but most are hobbyist potters that just enjoy making things out of clay. Membership has always been open to all those interested in clay. The Guild’s objectives are to promote excellence in the art and craft of ceramics and to encourage and promote communication between members, other guilds and the public. To support these objectives, we have an annual juried show in rotating communities throughout the Valley. An invited juror selects the work and provides a Critique that evening as a learning experience for us all. The Critique by Herman Venema will take place June 2nd from 7-10pm in Centennial Lodge, Queen’s Park, New Westminster.